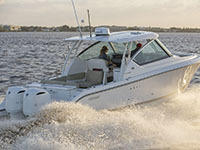 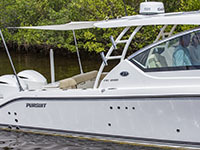 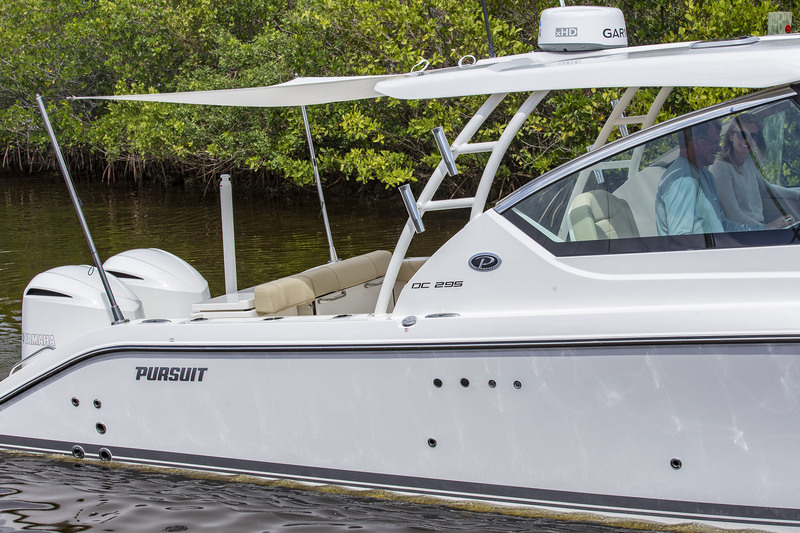 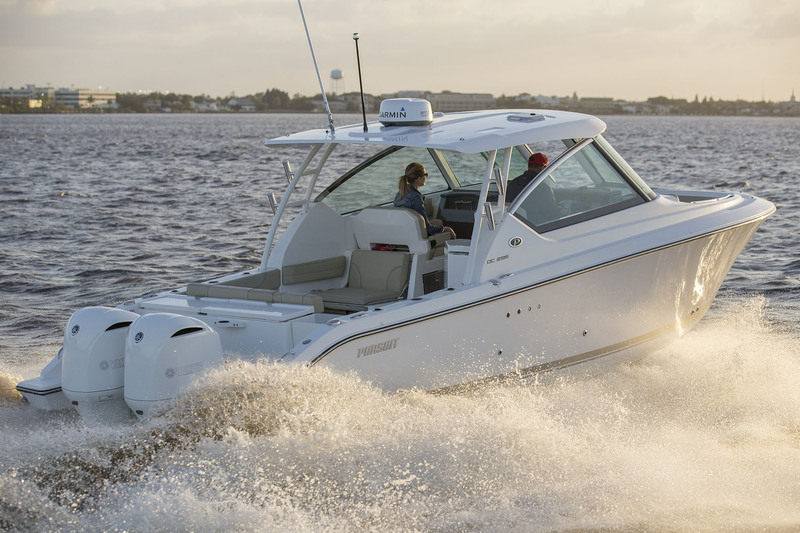 The Pursuit DC 295 builds on an award-winning product design that delivers unparalleled style, performance and amenities in the popular dual console category. 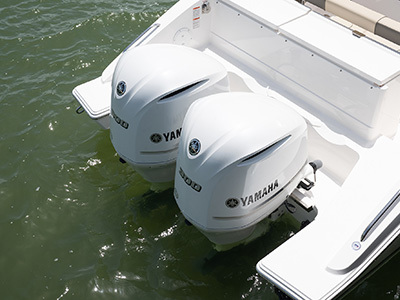 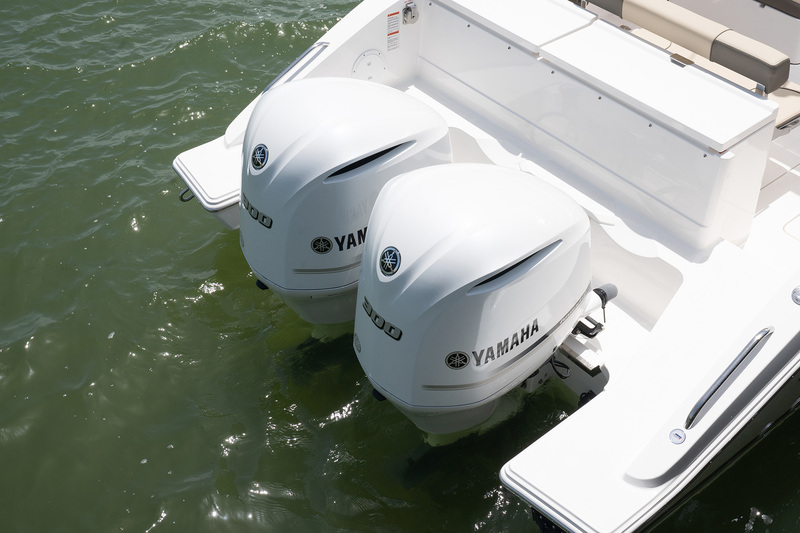 Paired with dependable Yamaha outboards, the DC 295 conveys a message of superior design, engineering and construction synonymous with Pursuit. 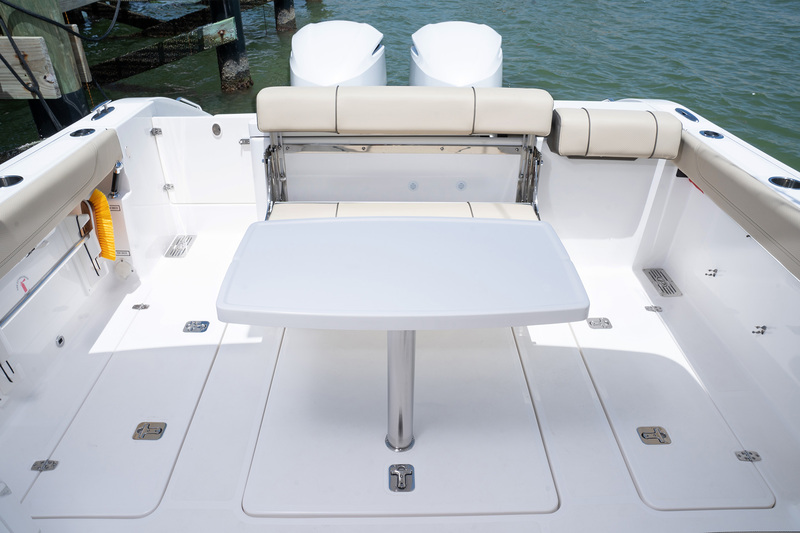 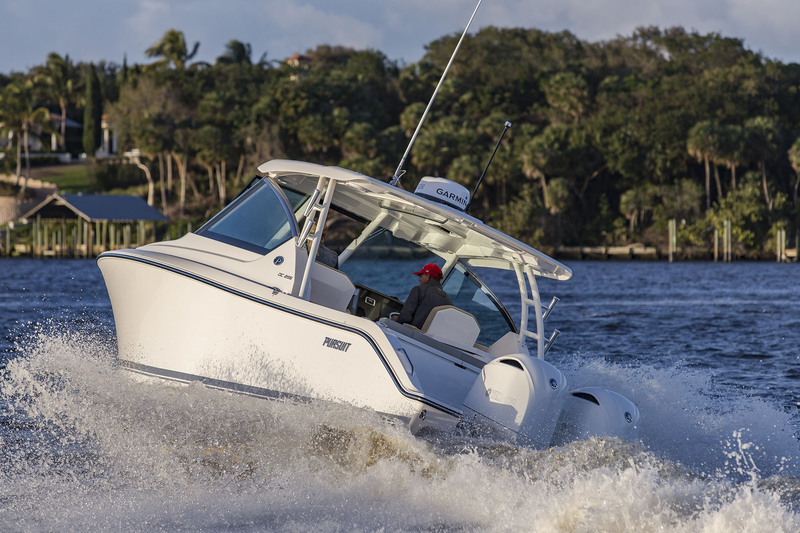 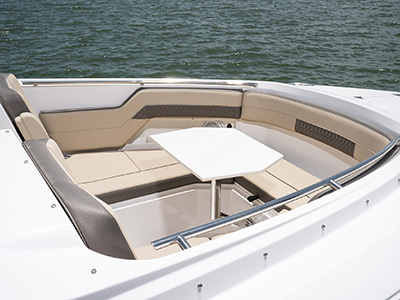 Integrated hardtop, a crystal–clear tempered windshield, convertible seating arrangements and product specific storage are a few of the highlights in Pursuit’s luxury dual console. 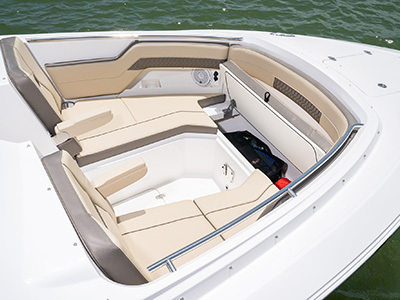 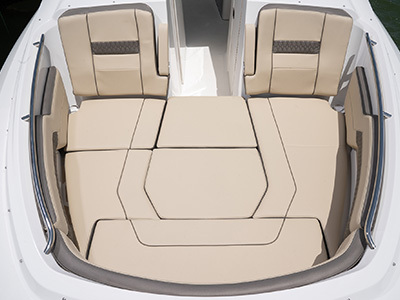 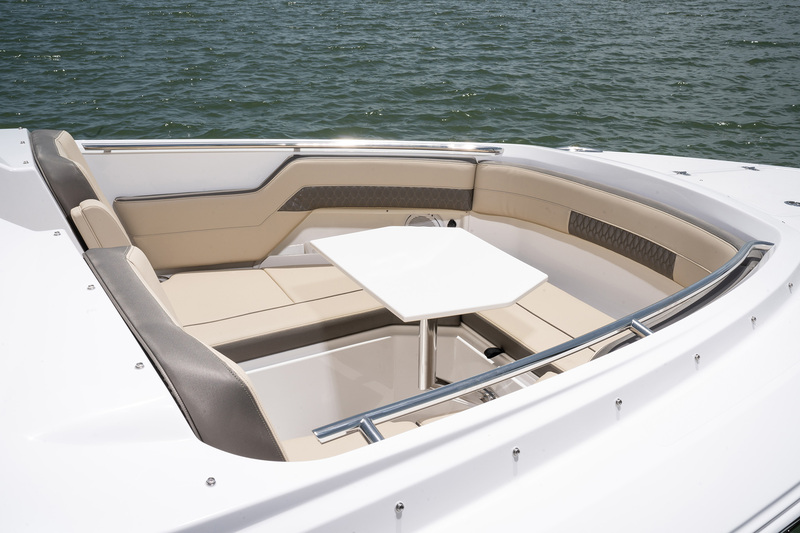 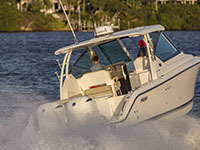 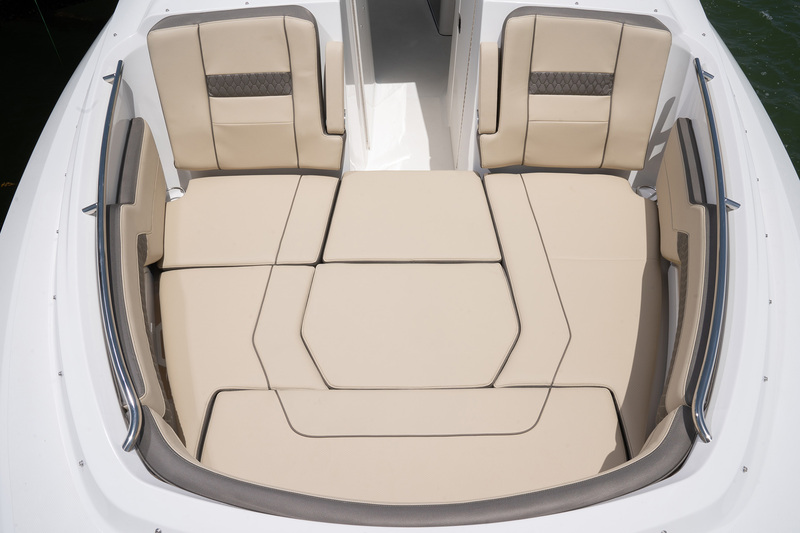 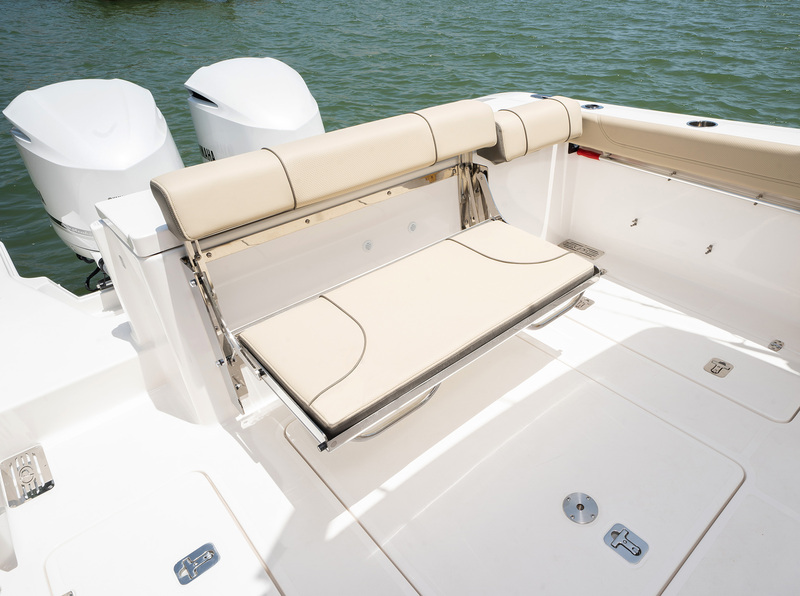 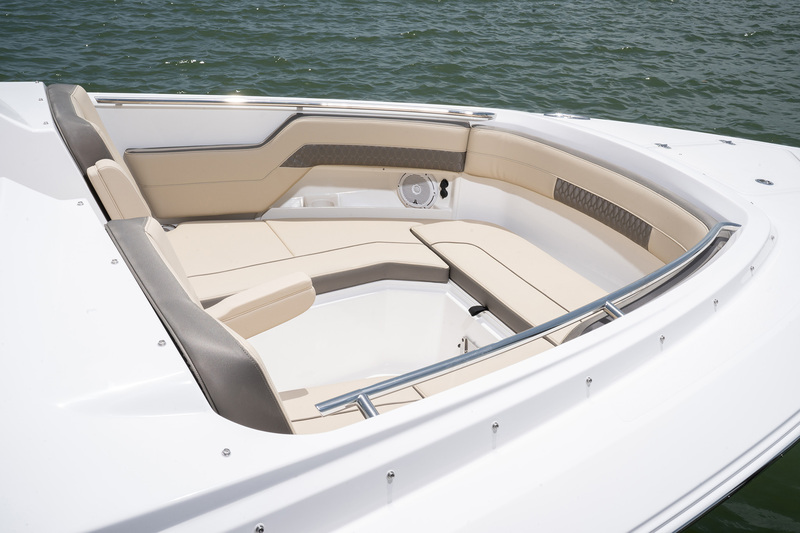 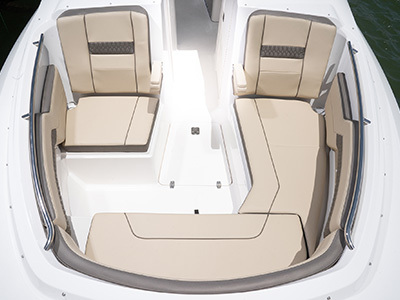 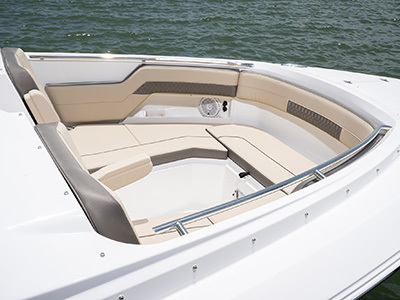 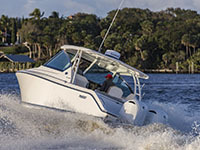 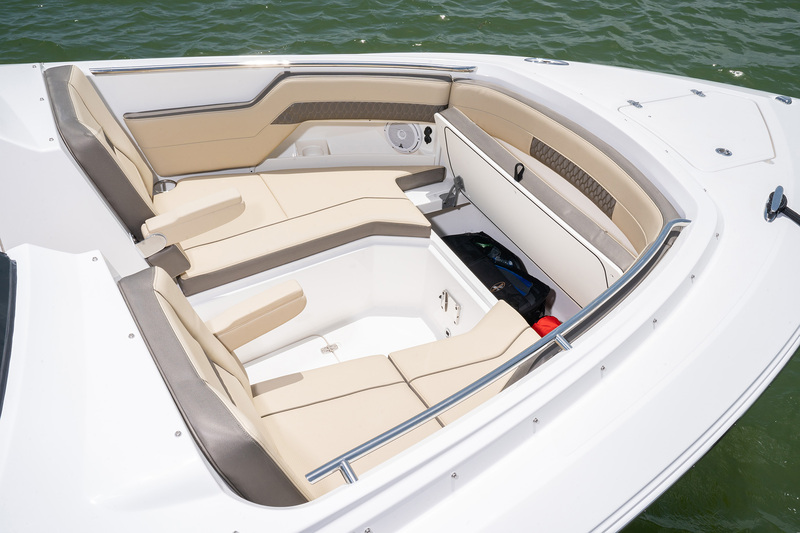 The forward bow seating is perfect for lounging when the weather is right or you can dip behind the protection of the full windshield and hardtop arrangement to escape the elements. 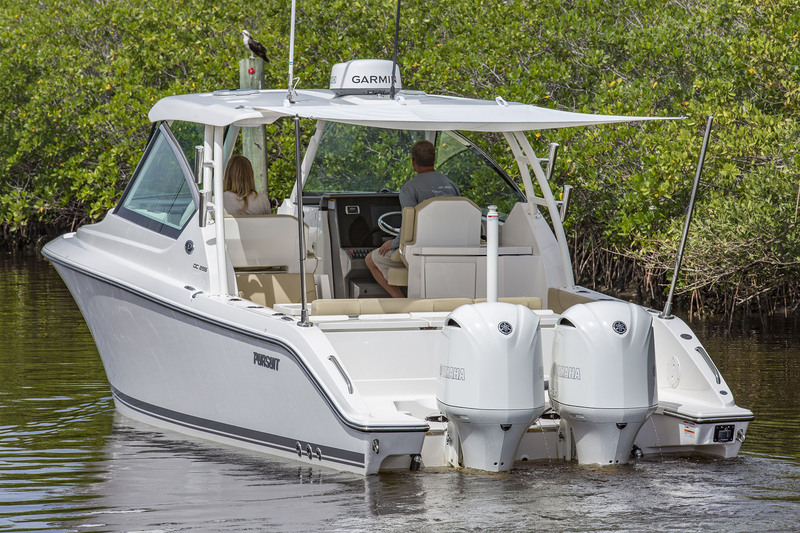 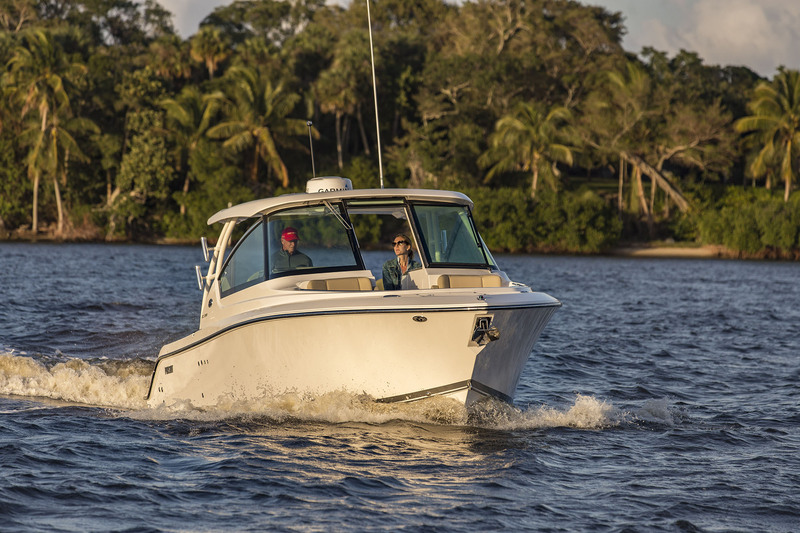 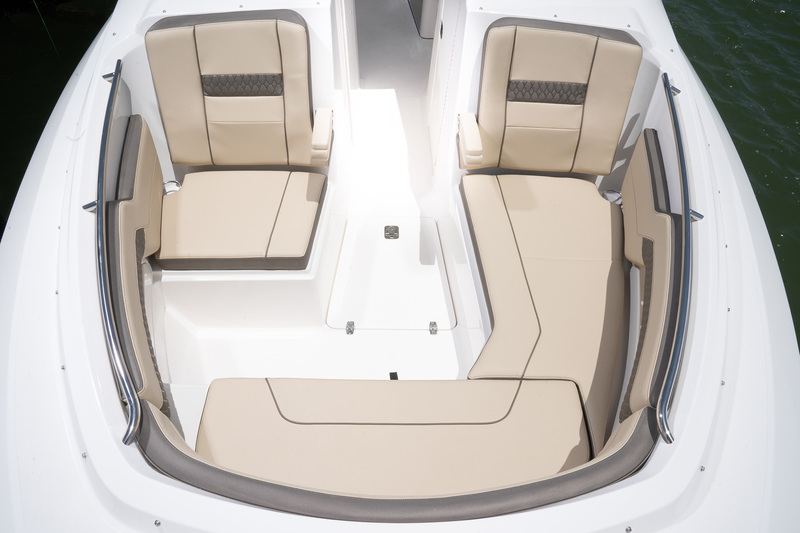 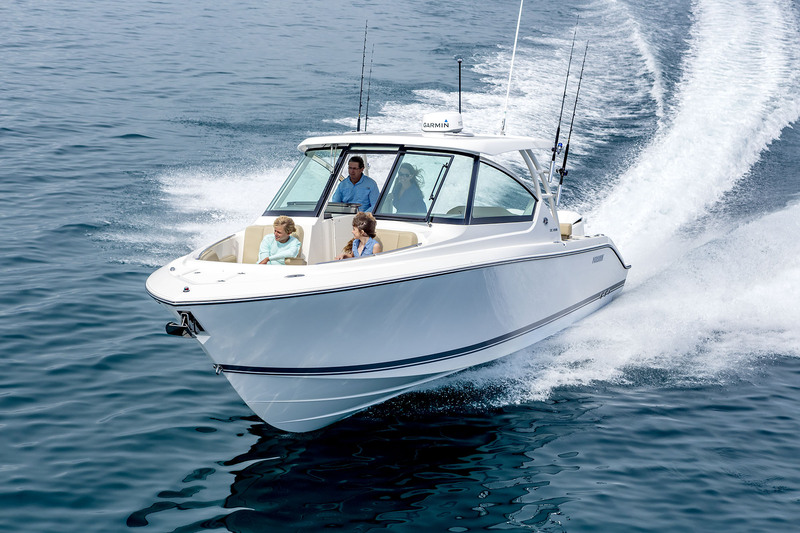 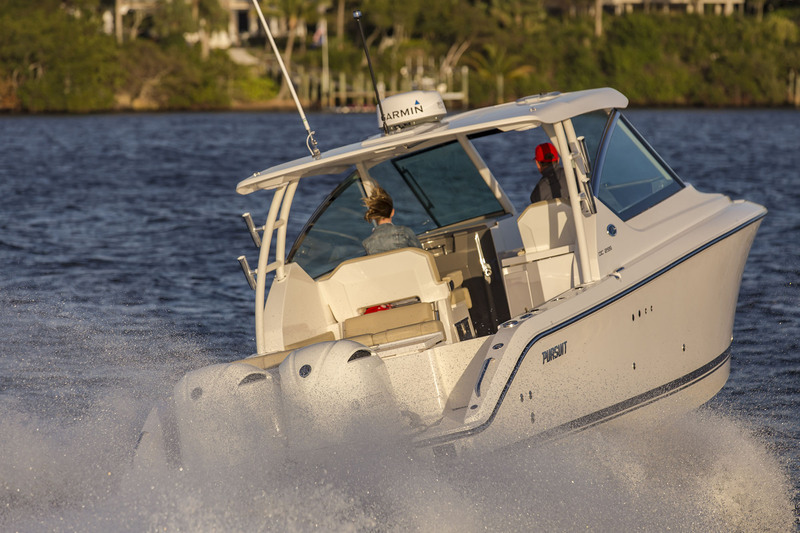 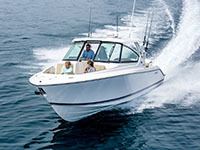 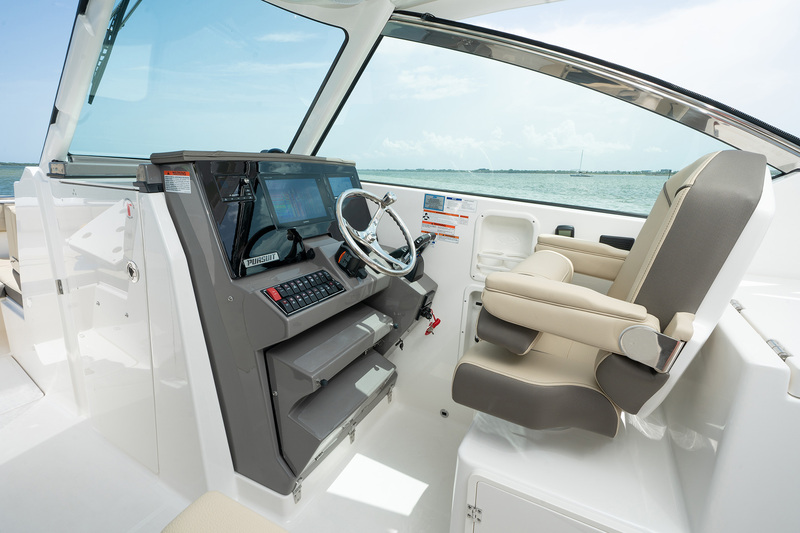 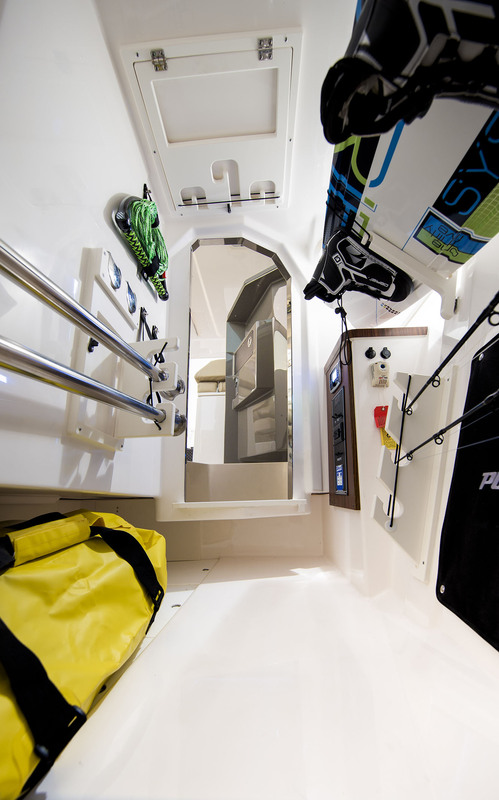 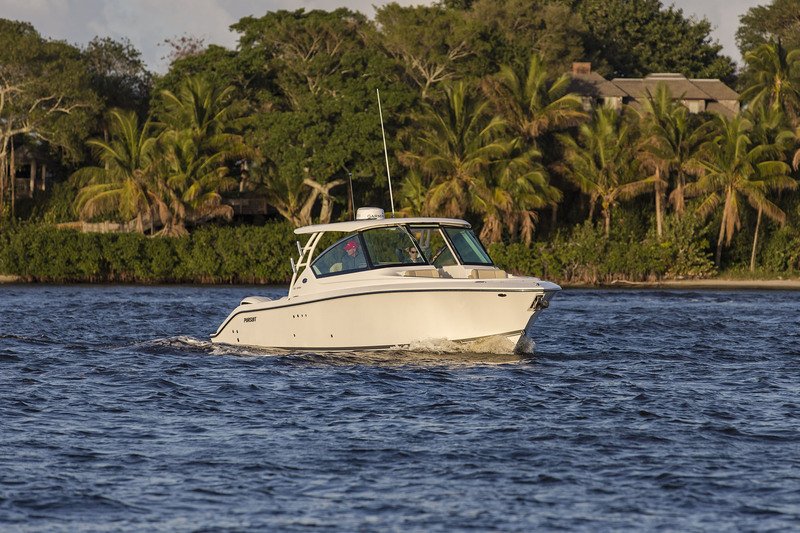 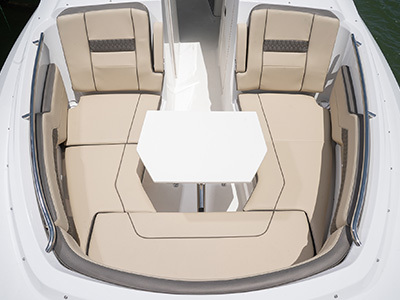 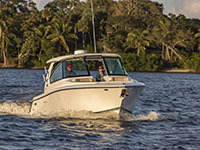 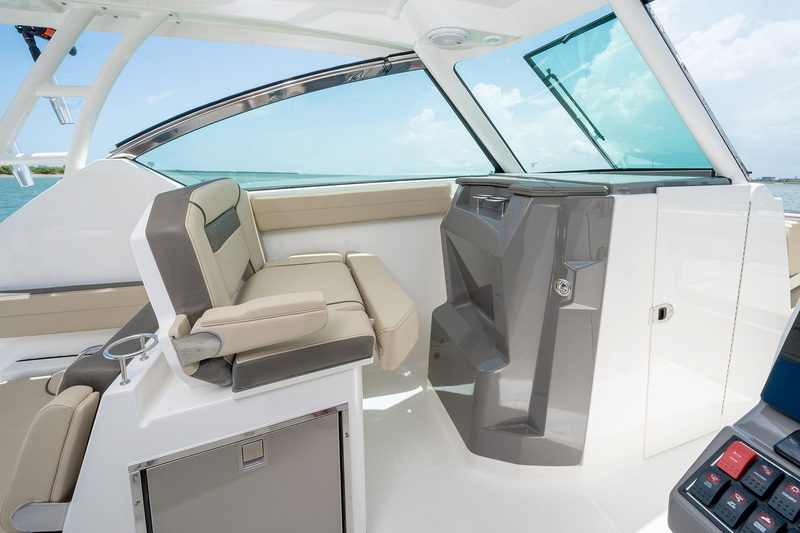 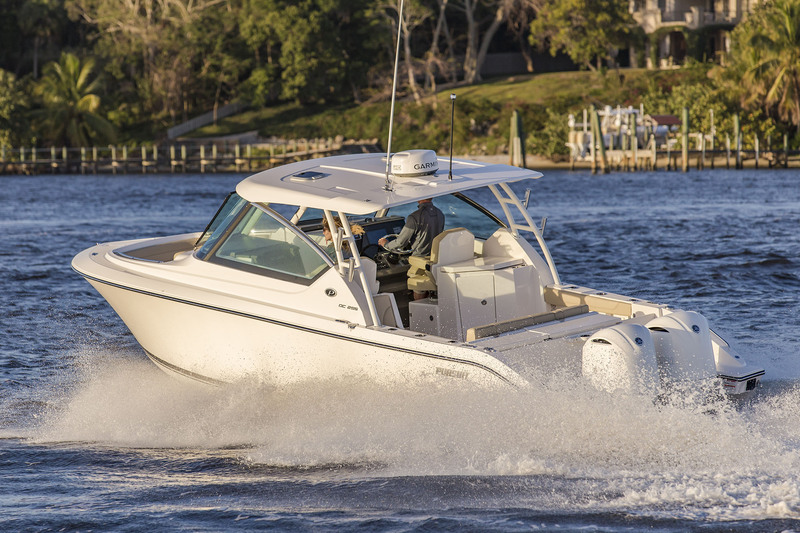 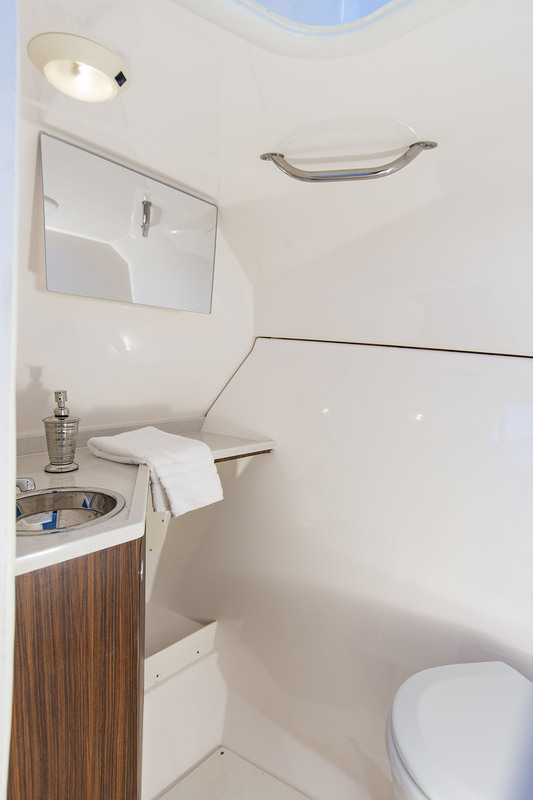 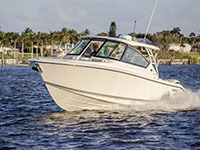 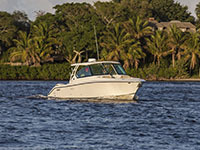 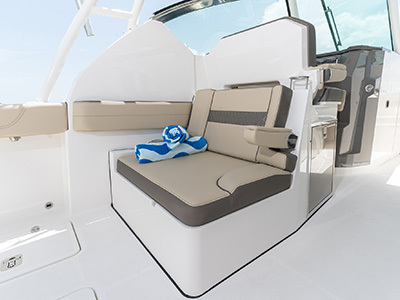 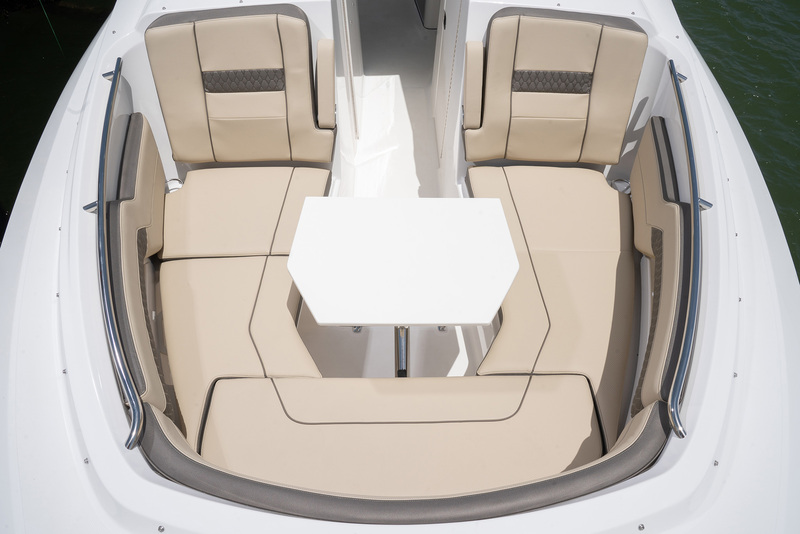 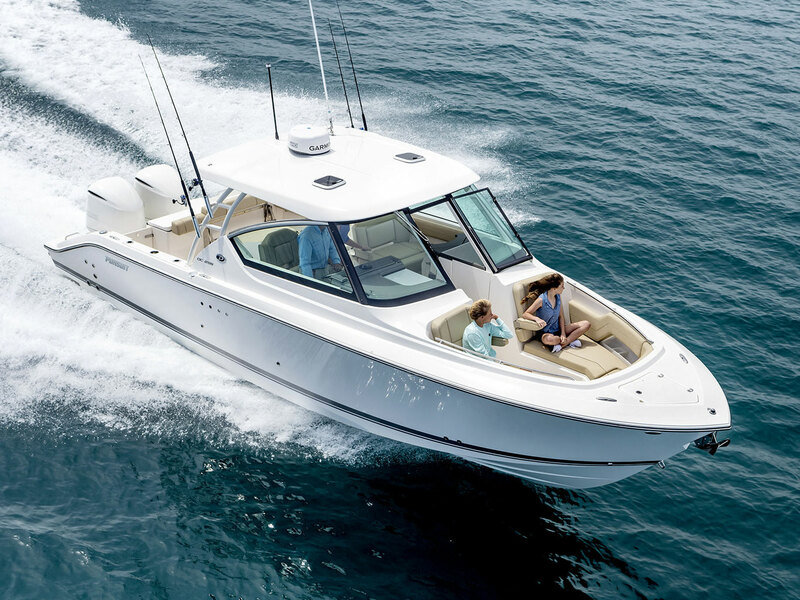 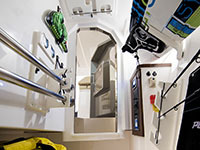 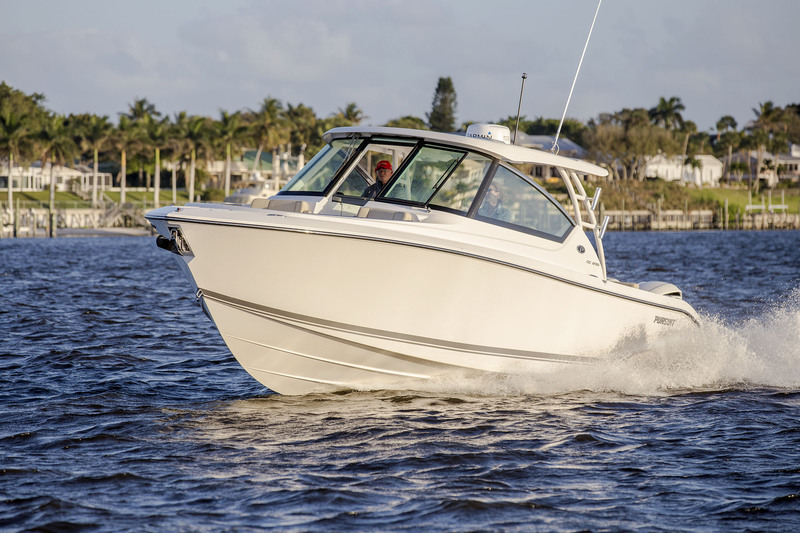 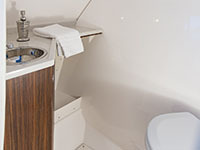 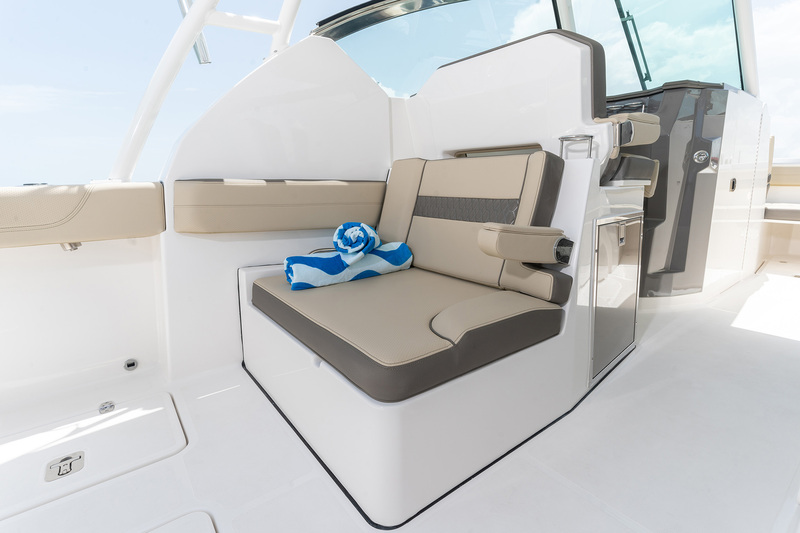 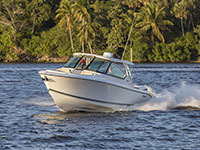 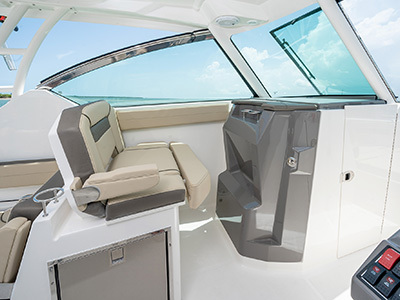 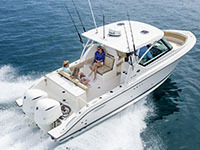 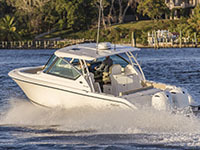 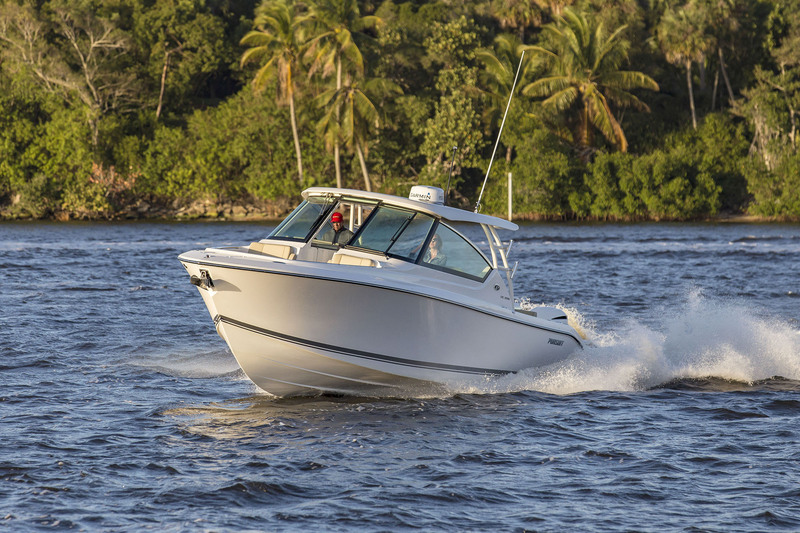 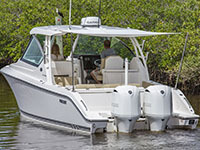 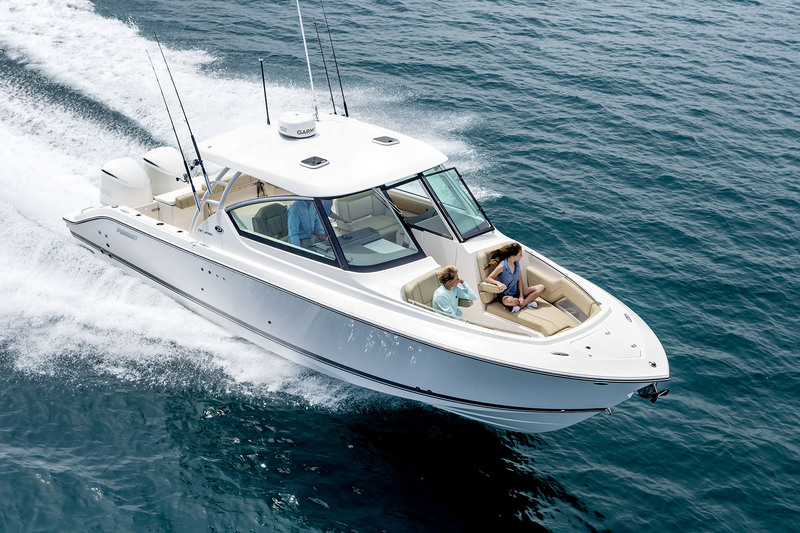 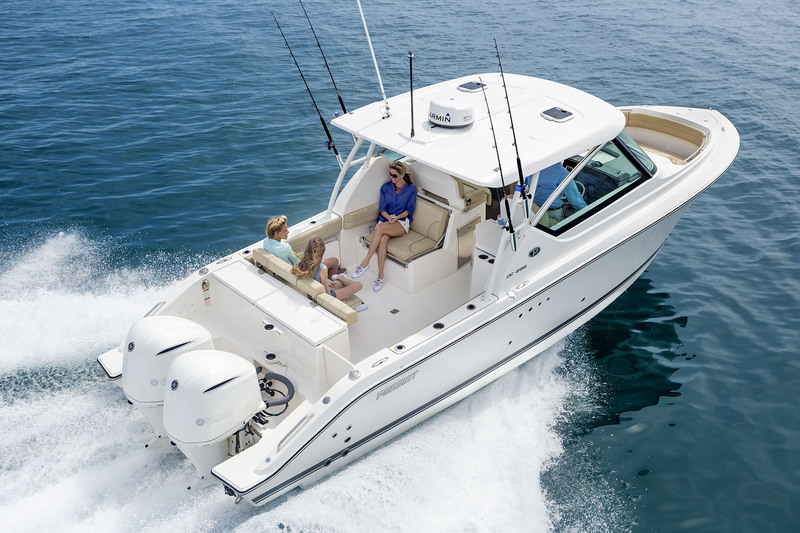 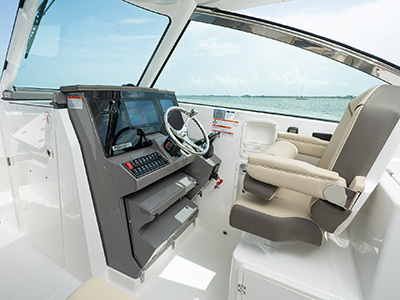 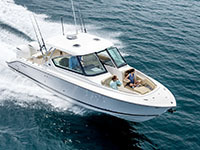 The wide-open layout is built around sport utility, fish, cruise dive and entertain in a luxury dual console that sets the standard for the category.